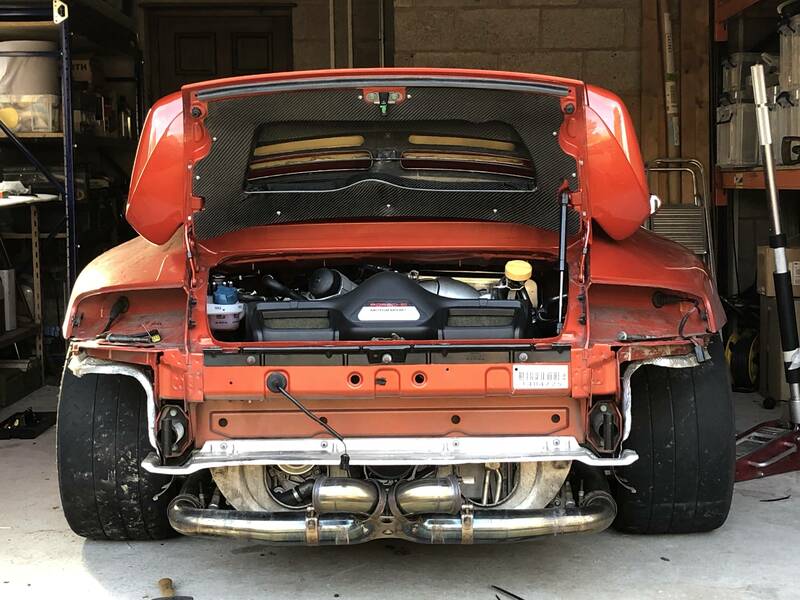 Assuming it is as nice as it looks/sounds and is totally rot free it would have to be 3.2 at 911V. Hi lads, thanks for that. I’ve knocked the PS car off the list. It was quite a detour on an already busy day too. Hi Raggy, I’m sensing you might not like that car. Cheers though it’s what I needed to hear. Pity though as I’m sure our friendly Indy would have loved me for giving him that to work on. Hi Graham, yep overpriced and no mention of engine work or anything. I’m with you on the GT3 and if I had to bet I’d be putting a bit on that. Hi Neil, yep I’m not sure what’s going on there although I did read you can the torsion bars out without those holes on wide bodied cars. Irrelevant now as I need to stop looking at daft Frankenstein cars that would be a nightmare to sell on should I need to. I understand you favouring the Mk1 but I’ve had one and the only Mk1 in budget is the Parr one which is red like my old one but not a CS so I’d always be comparing it. Plus there looks to be marks in the lower dash leather, powder coated rims (my pet hate), crappy Pzero Rosso tyres, etc. I’ve strangely come around to massively favouring the Mk2 styling for everything bar the rear wing. Sharper and more aggressive. Plus I’ve just sold my Mk1 C2 so want a change. Hi Will, yep that car but be a resale disaster. Never mind suicide Savanna trim in 996s. A fibreglass bodied bitsa with buckets and harnesses would be a nightmare. Hi Stotty, yes you can see from the pics the bonnet panel gaps are awful with the drivers side sitting proud, plus the front bumper looks a bit off under NS light etc. I’d imagine it’s a great example of a 6 footer. Ok from a distance but not up close. I think I was being optimistic or down right delusional that I may be able to create something resembling that blue car in the picture. Hi g911, well this is the question. Can anyone guarantee there’s nothing lurking if the car is original. Who knows. I’ll definitely view it though. There’s one main point Mark mentioned and that’s that it was still on original suspension when he sold it so if that’s still the case there’s a big bill straight away for the new owner. I can only ask the question. My mate Mark who bought my C2 kindly pointed out that the gear level looks like a camels *****. So I’ll view it and the 993 at Ashgood plus the GT3s. I look at the old stuff and start to make a mental list of things they haven’t got or what I’d want to do, then after I do a big list I realise the answer is a GT3. 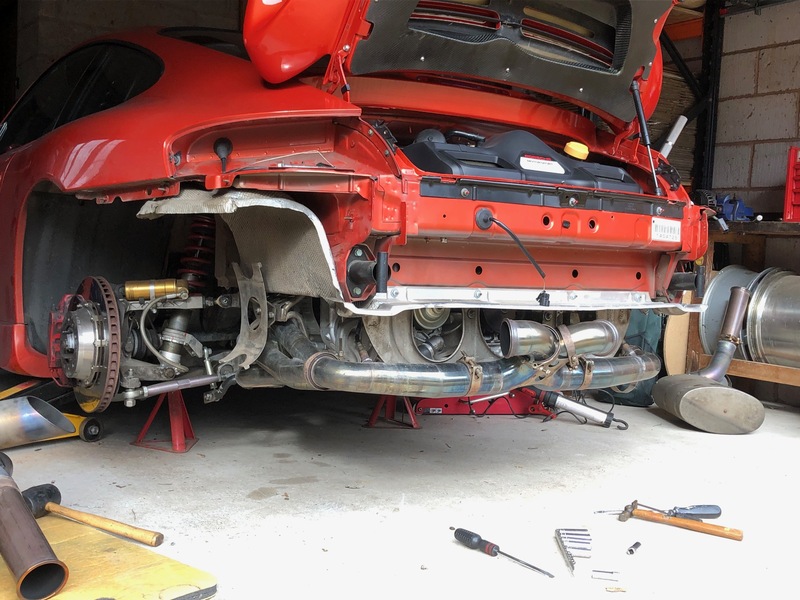 Look into the aircooled car suspension mods to sharpen them up. Hmm, a GT3 is already sharp. Old ventilation system and no aircon. Hmm, GT3s cabin is great, air-con’d and user friendly. Look into making the old cars sing more. GT3 screams it’s lungs out. Bar at idle and low revs where a 993 trumps it. Consider possible engine issues in future due to mileage (Dr Marks excluded of course). GT3s have 40-60k on and are barely run in. Consider making interior more focussed. So the answer always ends up being GT3. But then if it’s a keeper forever, the air cooleds win on looks, charisma, noise in some ways, feel, nostalgia (they remind me of being a happy 80’s kid with my whole life ahead of me ). So we’ll see. I’m quite enjoying the search and not having to rush as nothing is selling. I do want to get out and physically see some cars though so roll on next week. In the mean time we’ve just ordered a new Abarth for Mrs Marky. It’s the Competizione so better spec and 180bhp. I remember seeing Cosworths when I was a school kid and thinking they were rocket ships. 204bhp they were. Now you get 180bhp in a standard shopping car that weighs the same as a crisp packet. Anyway thanks for all your thoughts lads. Just ignore me if I get a bit self indulgent. I like to know your thoughts though and it lets me know if my taste becomes questionable. I can’t wait for next Saturday. I’m hoping one car stands out and decides it for me. I hope my mate Mark doesn’t want to continue this thread on the C2 mind, as it’s become the “Markys car shopping thread”. PS Chris Harris prefers the Mk2. I probably commented at the time when I was a bonafide Mk1 fan boy. If it helps Marky, I prefer the Mk2 GT3 to everything else. Most my mates do to and that’s the general favourite. Some of my mates are purely in it for the driving though, others for a pain free, no money loss experience, hence new GT3s and things. I’m in it for the driving and the tinkering. A car has to stir some emotion to keep me interested. GT3s do but aircooled do more. But like I say the answer to 90% of my needs is GT3. I think you need two cars. You must be psychic! I often have a look to see what old Alfa’s are about. Gorgeous things. Old Alfa’s and 70’s/80’s BMWs are a regular search of mine on eBay. I have no use for any and I’m not brave enough to face the inevitable rust. Problem with cars is that they often don't make sense. I've read that article before, and I'm sure Harris is correct and that the 996.2 is the better car by every measure. It’s the things you can’t explain about them that are often the most important. I know on paper I need a GT3, but that doesn’t stop me hoping I take the plunge on an aircooled. I tell you what though, C2 manual coupes, either 993 or especially 964, have all but disappeared. Where did they all go. Now that is an interesting question. I’ve been looking and the 964’s are all either C4’s or auto/cab/targa. I think I’m looking forward to next Saturday almost as much as you! Are you going to update the thread car by car or make us all wait til the end?! Haha, I like your enthusiasm Griffter. I’m looking forward to it but my heads done in with what view. I’d discounted Boxster Spyders as being too new and clinical to keep me interested as a keeper, but my mate Paul cane past yesterday in his, albeit a 981, and they are lovely things. He’s had 2 of each type and so has mate David. I’m in no rush. I’ll view my planned list next week and see how things go. The 3.2 at 911V and 993 C2S at Ashgood add on quite a detour to nearer London. I’m now thinking of swapping those out for Spyders. None have aircon though. If they do they’re missing something else like seats or correct wheels. I’m in a “Can’t be arsed with a project” mood this weekend. I want a summer of gardening, dog walking and time with the wife/family. I don’t want to be lying on the garage floor all year like last year. YK on here pointed this GT3 out. It’s stunning. Real budget creep though. Gonna ring a load tomorrow and get details on price wiggle room, and more info on the cars. If the 3.2 is still on original suspension I’ll discount it. If the 993 can’t be nearer mid-50’s I’ll discount it. I have some insider info on that one from someone very helpful on here so I’m ready to walk away from that one. I thought a good summer WAS spending weekends and evenings working under the car grunting and cursing ??? JS, thanks for that. I actually started a thread on that car as it looks ace in that listing. Turns out it’s had a bit of trauma to a panel or two so I’ll probably leave it. I certainly won’t put off choosing another car for it but if I haven’t found one by then then it’s a “possible” I suppose. Hi Henry. Go on, rub it in! There’s only one Mk1 in my budget but I’d need to spend a bit on it. The Parr one. Hence I’m onto Mk2s, which is no bad thing. Apart from the standard stiffer damping that is. Yep I’ve just made all my phone calls so I can plan Saturdays route. Sure enough “Deposit taken” on the 3.2. If it’s still on it’s original suspension I’d have probably left it anyway. I can’t be doing with a full suspension overhaul as soon as I buy something. Especially the on the old cars as it’s a bit of an unknown to me. Good luck to the new owner though eh. It’s a gorgeous thing. 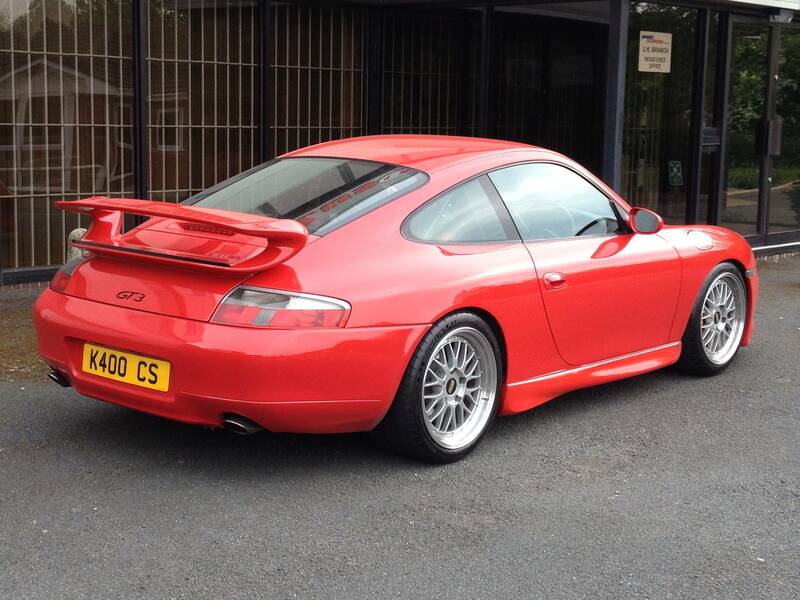 911 Sport GT3 - up for £64k. I offered £58k (my max.). Not enough. 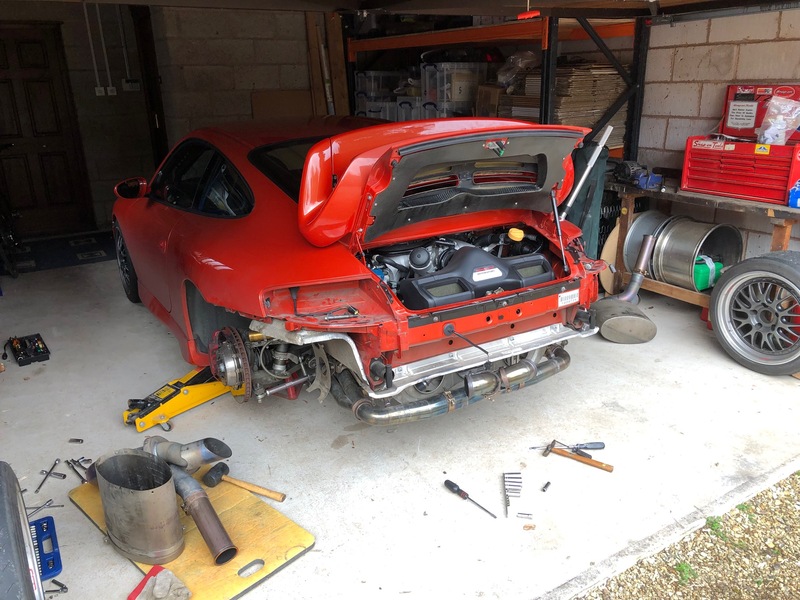 Autostore GT3 - Still there but they don’t know if anyone is available on Saturday to let me view it. Awaiting a call back. Ashgood 993 - Usual car sales guy patta, bit off putting. Up for £62. Offered £58, he said no. Will view though as it’s had full suspension overhaul and lots of other work. RPM GT3 - Alex who I’m dealing with was with another customer there so awaiting confirmation for Saturday viewing but they are open on Saturday so should be fine. So they are the 3. I’ll view them and come away. It will take a mega deal or super car to make me do a deal on the day. 993 will always need things. GT3 won’t so much. 993 my fave as a long termer. GT3 would still be great as a keeper and is a way sharper tool and has at least half the mileage on it. If I can’t view the Autostore one though I’ll have to postpone as I’m not trailing down south if I can’t view all possibilities. It's funny isn't it? £55k odd to spend and finding the right car is hard work. For me, thats what makes the 996 the only sensible choice really. Yep, too right. I’m always just under a comfortable amount for what I want. My mate Paul says I should just buy a 987 Spyder for this year then sell it next year for a keeper but I just can’t be bothered with selling anymore and they are hanging around a lot privately. 911V black one sold but that was at a recognised specialist and had aircon. Yep my mate Mark is loving mine. I don’t think it’s a long term thing though. Maybe just this summer so hes scratched the itch. If I don’t hurry up finding something I’ll probably end up buying that back. On a serious note though I couldn’t really. I’m sure I’ve said it before, but if was to buy it back it would just be like I’d lent him my car for a few months, so pointless. I imagine he’ll have no trouble selling it though. Yes stunning but I think my £58k max bids are a bit too cheeky for £64k cars. Especially when I’m offering it provisionally and over the phone. Sellers will take me more seriously once I’m in front of them... I hope.